Has curiosity ever gotten the best of you, and you secretly opened a Christmas present early to see what you were going to get...only to rewrap it and pretend you were surprised at Christmas? Though the Christmas story—as it is "unwrapped" in the gospels—contains many surprises, the Old Testament believers should not have been surprised. God had not only revealed his "Christmas plan" through words (prophecies), but He also revealed it through stories. 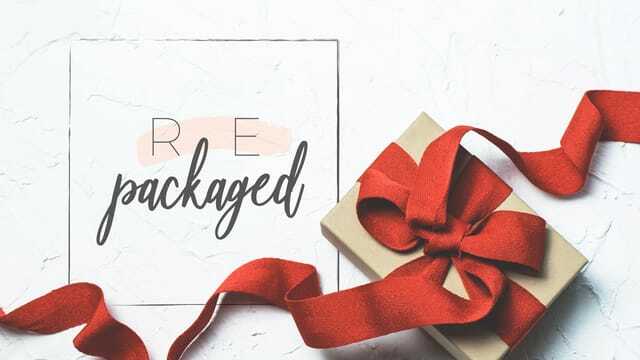 Repackaged looks at three Old Testament stories that point to God's greatest gift of all. http://theridge.church/next New here? Been coming for a while and looking to connect, grow or make a difference around The Ridge? Next is the place for you to hear a short overview about the church, ask any questions you might have, and determine your next step—whatever it might be. Next will be held TODAY in the conference room off the lobby after each service. Find more info at theridge.church/Next. http://theridge.church/ChangetheCourse Chestnut Mountain Ranch is a local home and school which offers hope and healing for boys who are in crisis. Change the Course jars can be filled with coins to help make a difference in a child’s life. Jars can be picked up TODAY (or you can recycle any jar from home! ), and returned December 17. There’s more about it at theridge.church/ChangetheCourse. http://theridge.church/JingleJam December 15, 5pm (optional dinner) 6:30 (showtime!) Jingle Jam is a high-energy, fun-filled, live-action, theatrical Christmas show and night out for kids and families to attend together! The show will be held in the auditorium this year, and there’s an optional dinner available, too! Visit theridge.church/jinglejam for all the info. http://theridge.church/celebraterecovery Meets Mondays, 6:30–8:30 pm—Celebrate Recovery is a place to share the struggles and victories of your hurts, habits, or hang-ups. For more information, visit theridge.church/celebraterecovery. CR is open to the public, and childcare is available. Problem: We don't see the connection between Moses and Jesus. Solution: Both Moses and Jesus were “saviors,” but one provided physical deliverance and the other spiritual. · Both Moses and Jesus were rejected as deliverers.